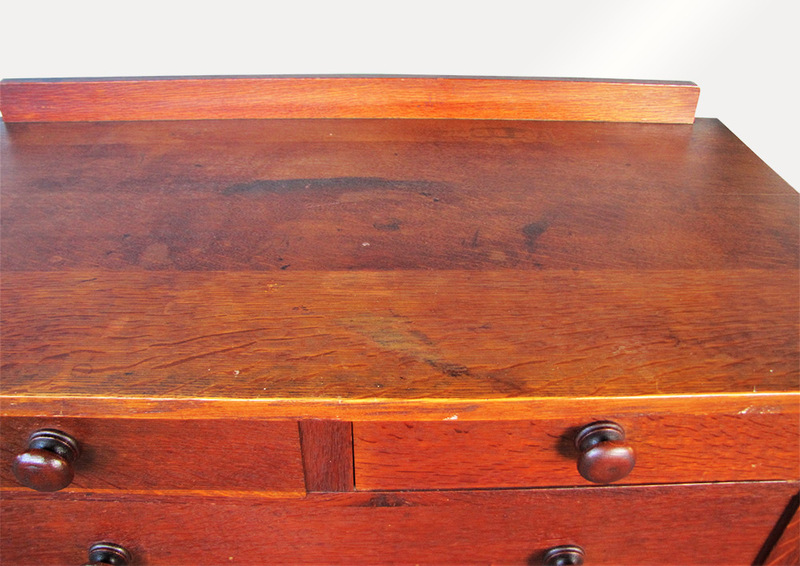 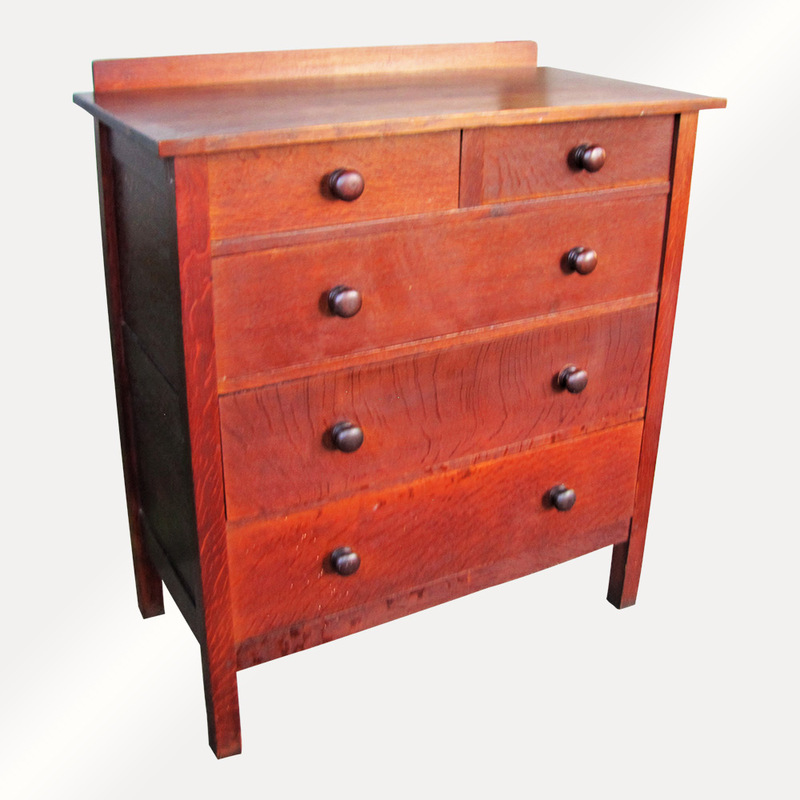 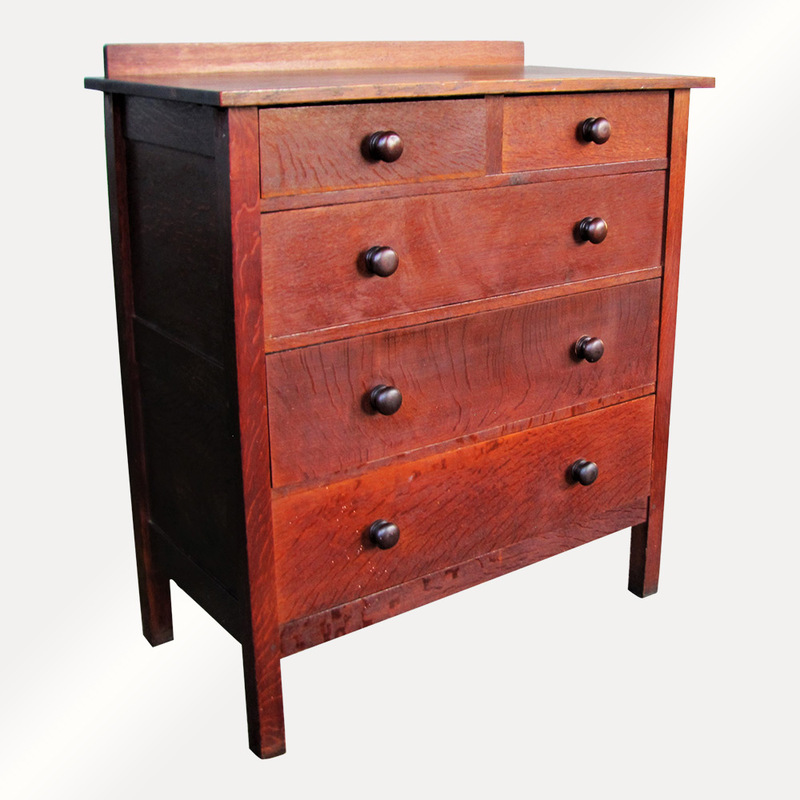 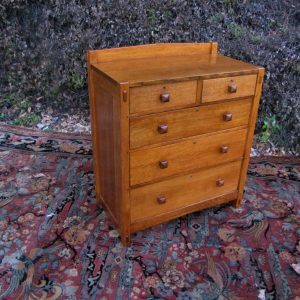 This is an Antique “Gustav Stickley” Chester Drawers Dresser from the early 1900’s. 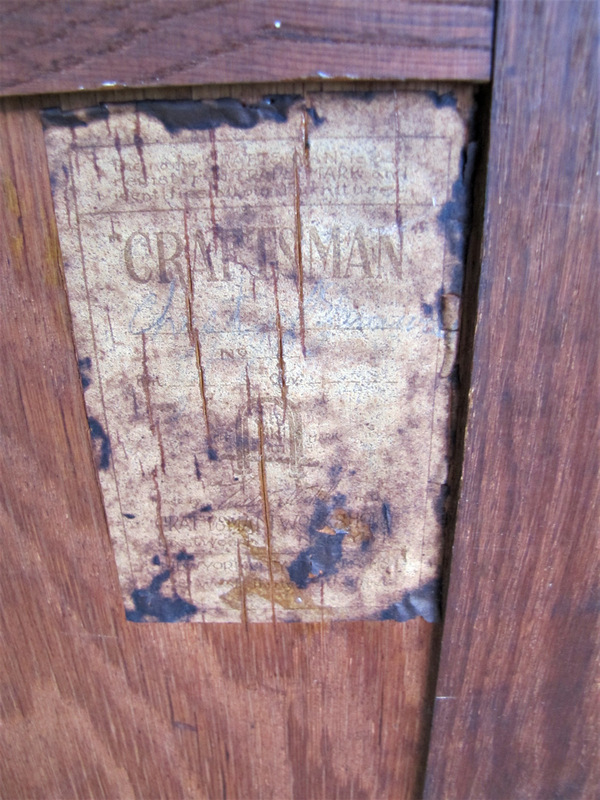 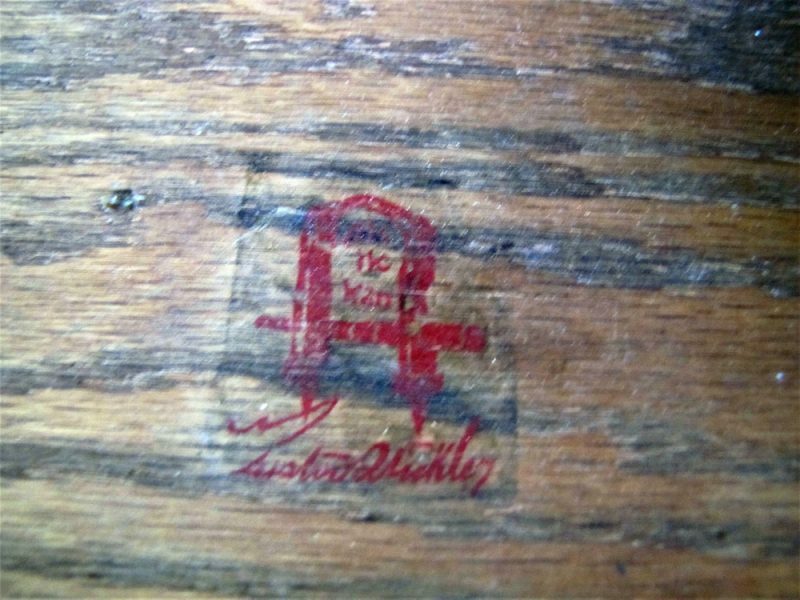 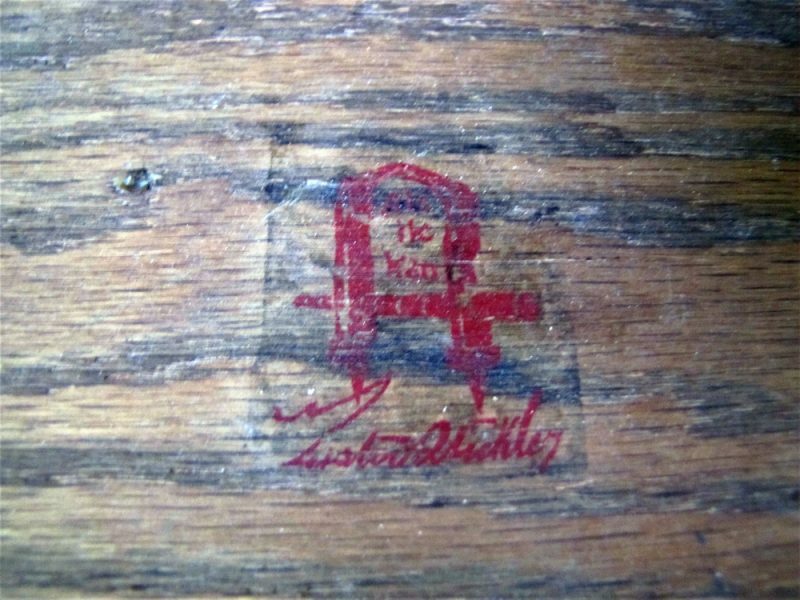 We can tell by the decals that this dresser is from 1905-1909. 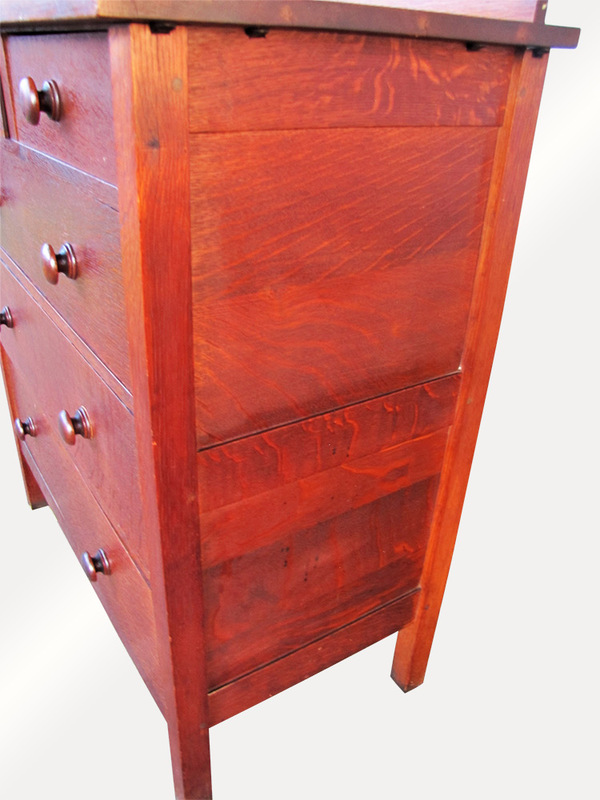 The dresser is pinned on the front, bottom, top, middle, and the sides. 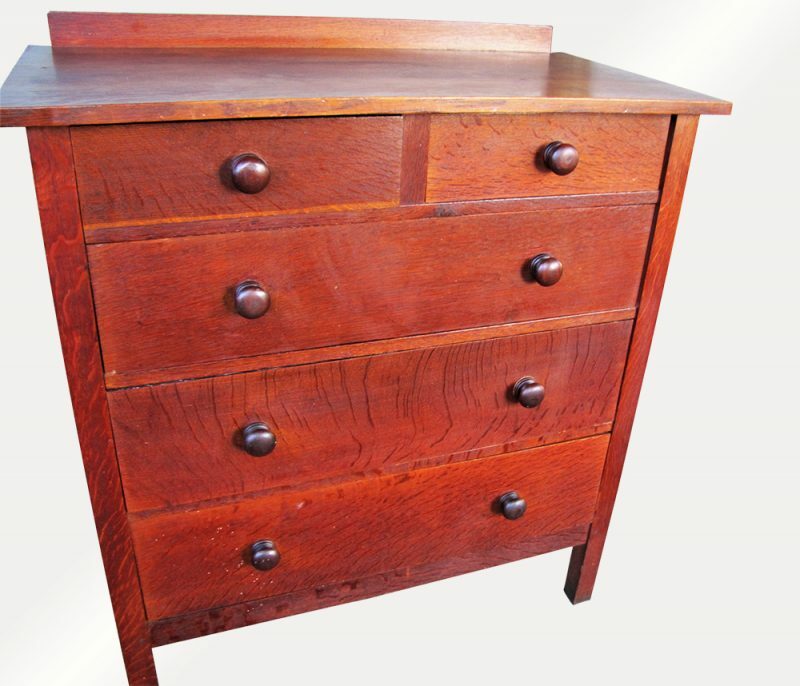 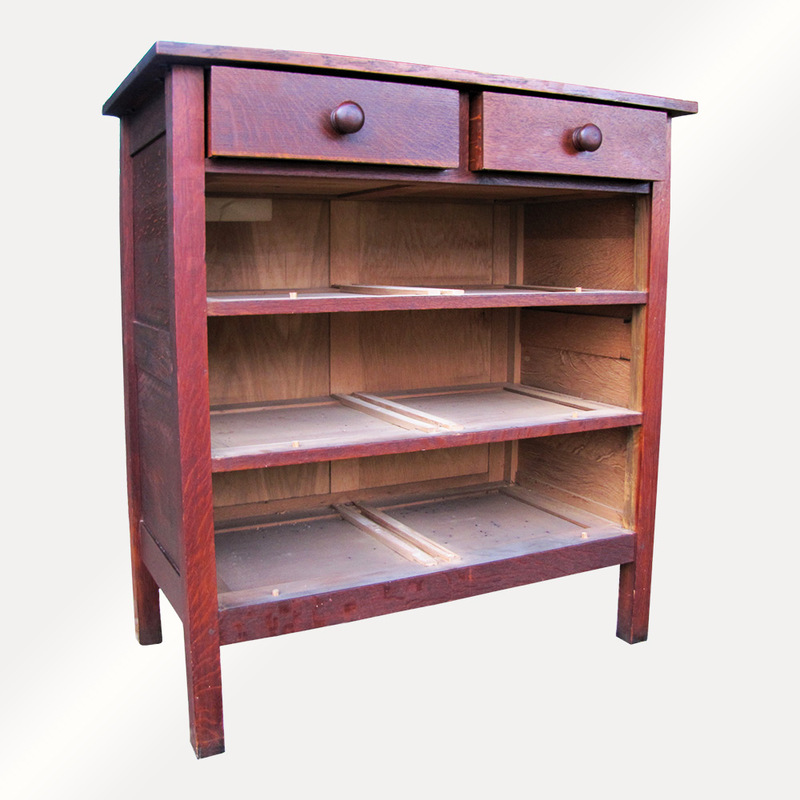 This dresser is in excellent condition and has a great original finish. 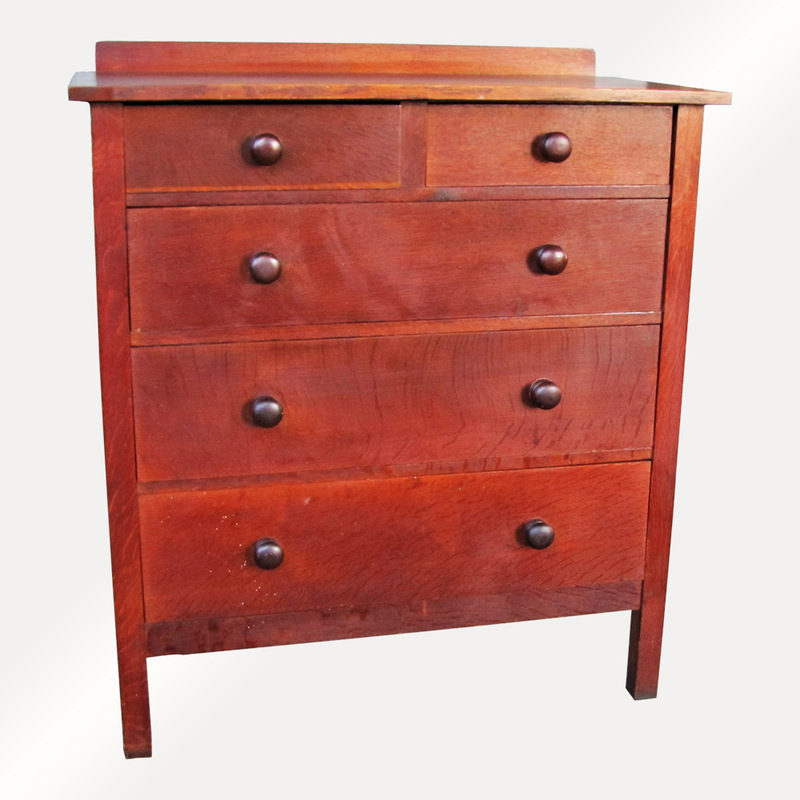 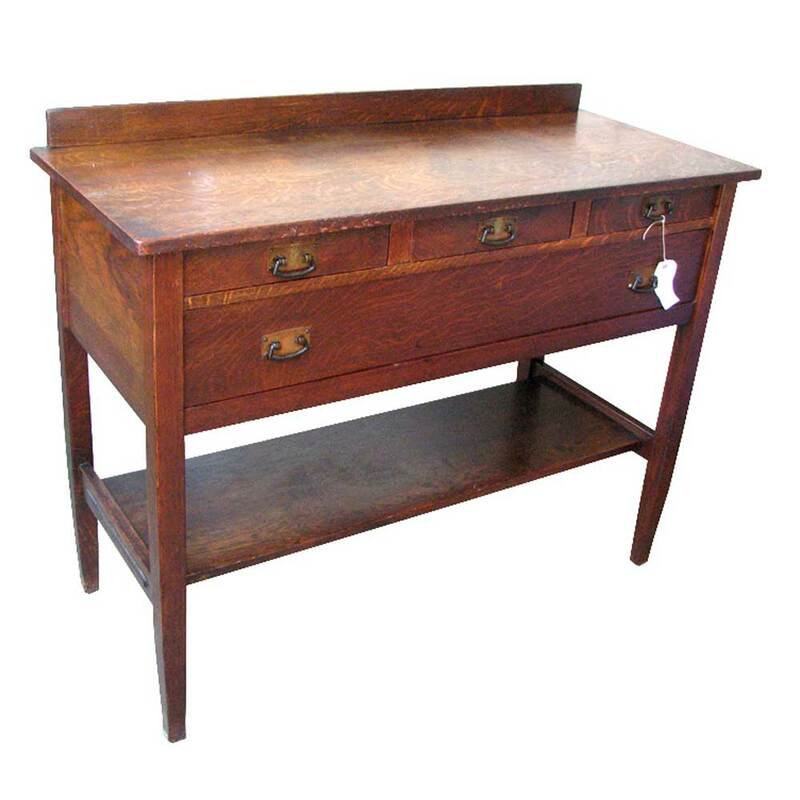 This is a sturdy and strong dresser and has a great color that would look great in any bedroom. 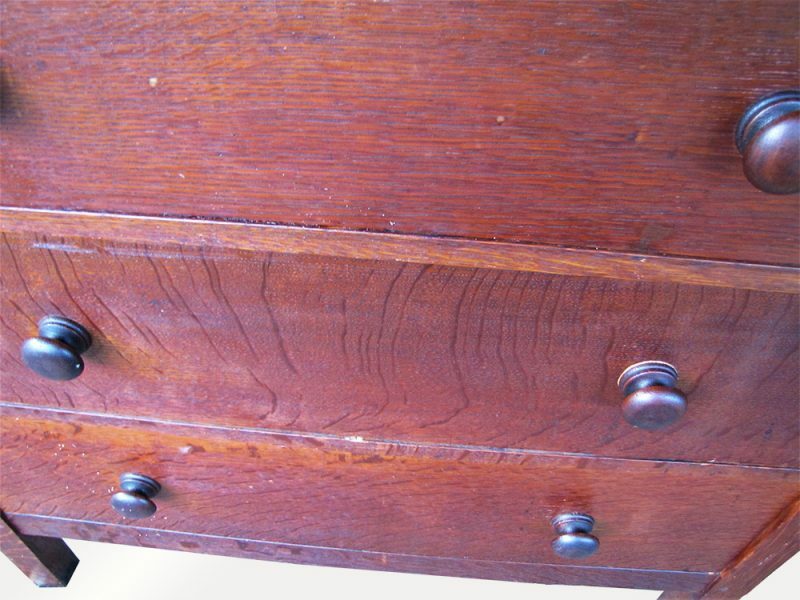 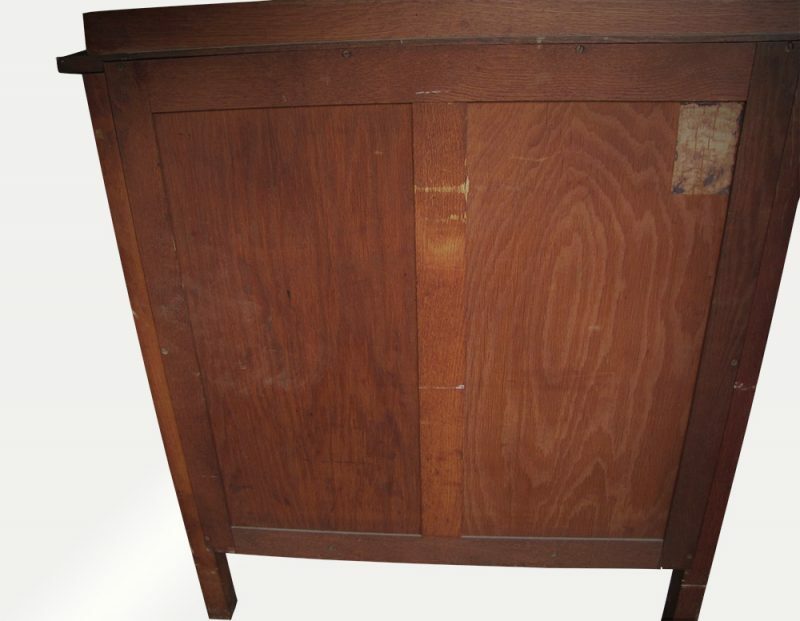 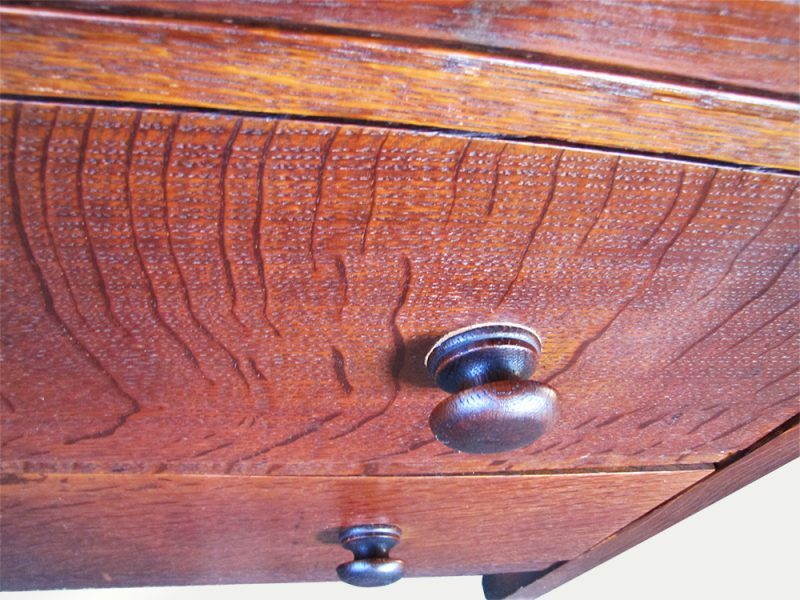 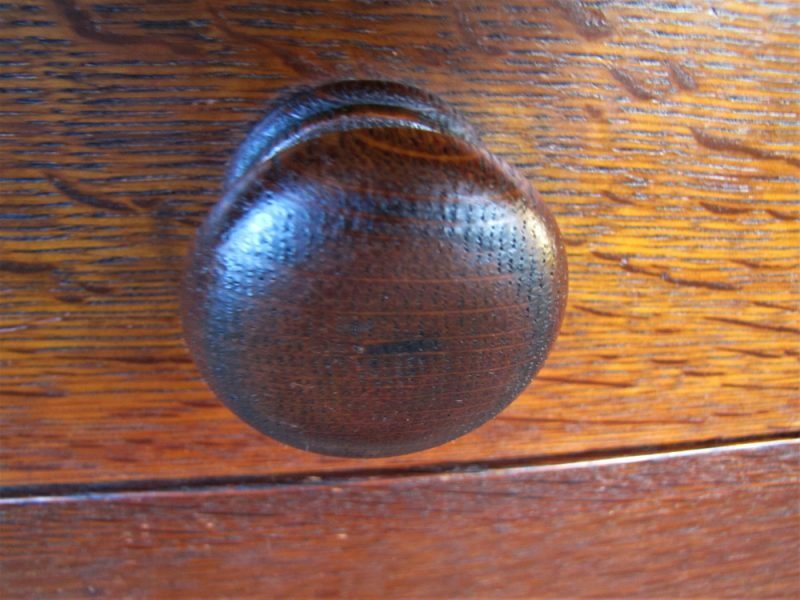 It has the original wooden knobs as you can see in the pictures. 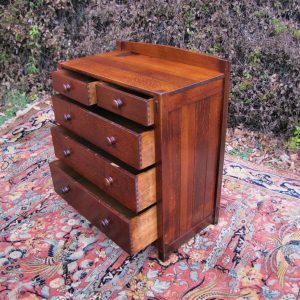 The top has a small gallery and all of the drawers slide in and out very easily. 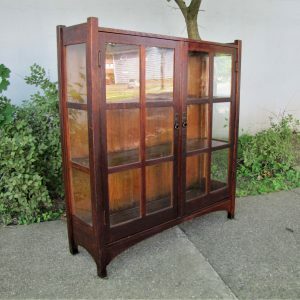 This is the nicest original good colors you can get. 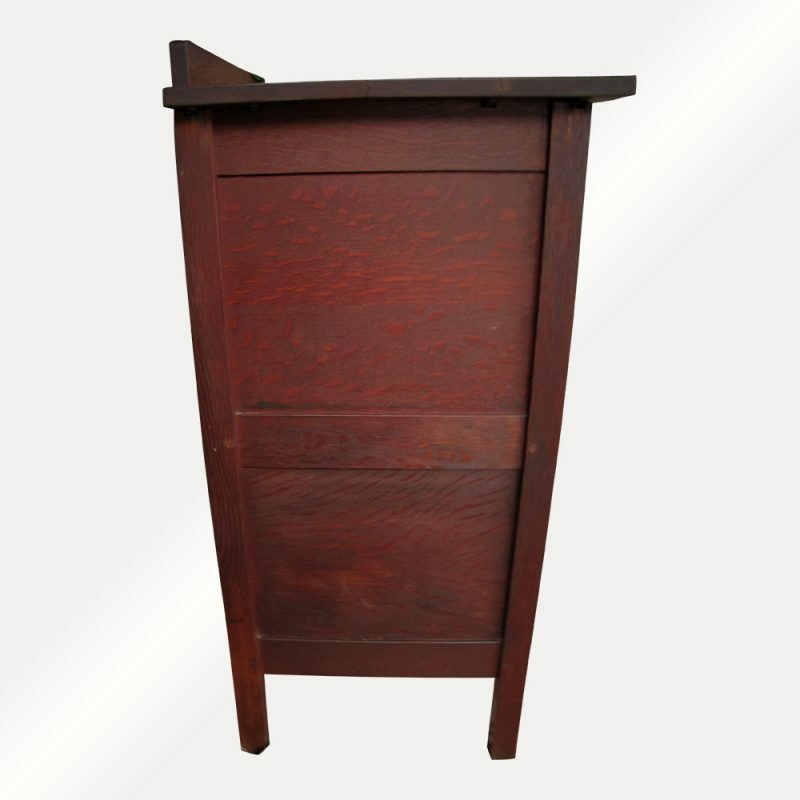 SALE SALE SALE SALE 20% OFF, please contact.